What's New @ Roselle Public Library: What's Your Library Story? 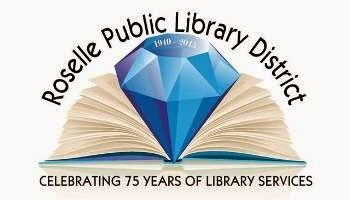 As the Library celebrates providing services to the Roselle community for the past 75 years, we have been reflecting on the past. The Library has been there for so many people in so many ways. Perhaps you have found a new job or learned something new using Library resources. Maybe the Library has helped you to homeschool your children. Or maybe, for you, the Library is all about finding the book, movie or music that brightens your day or weekend. We'd like to hear your Library story! Please Share your story on the Library's website. Share your memories and let us know the Library's importance to you, your family, and our community.